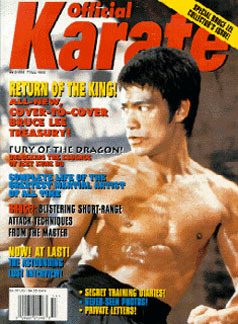 © 1995 GCR Publishing Group, Inc.
Official Karate, Fall 1995. "Remembering Brandon - Thinking Back On Meeting The Master's Son". 4-page article on Brandon plus 4-page article on Shannon.